A showy rooster stands proud whilst guarding an outdated fashioned faux wood water bucket that cleverly holds a set of toothpicks. 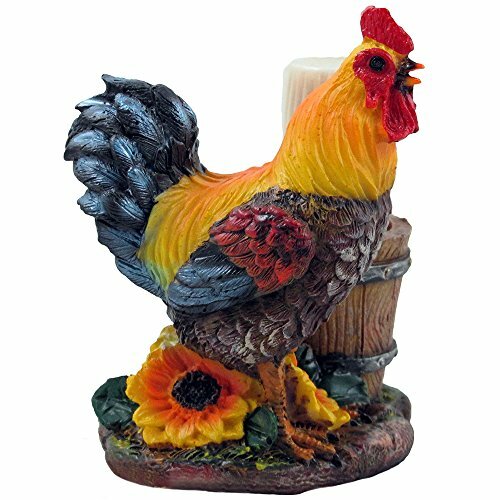 This colorful bar or table decoration will include an aura of nation farm freshness wherever you choose to display it. 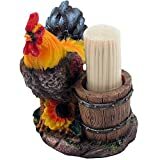 It handsomely holds lots of toothpicks right at your fingertips! 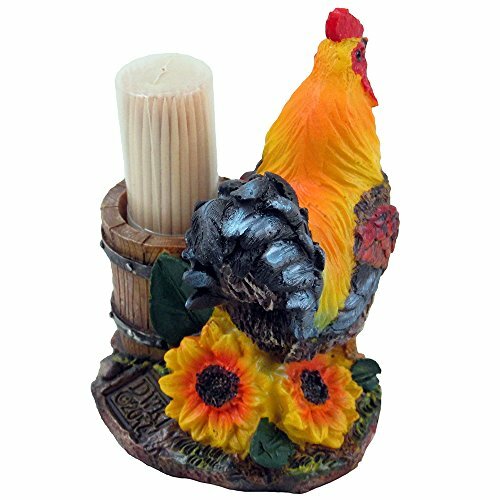 Set involves one particular decorative rooster figurine toothpick holder and a starter set of toothpicks. 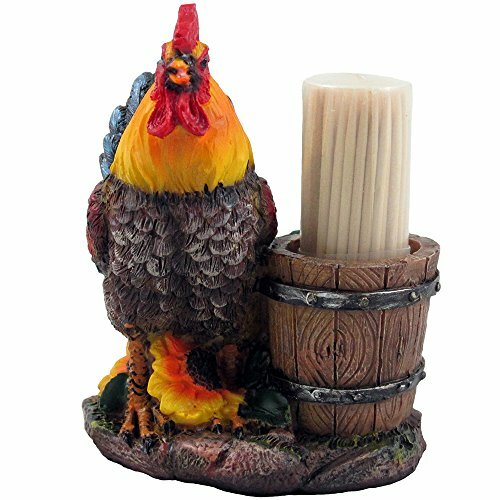 A showy rooster stands proud while guarding an old fashioned faux wood water bucket that cleverly holds a set of toothpicks. - See full description below. Dimensions: 3 1/8" x 2 7/8" x 4" high. Weight: 0.5 lbs. Individually hand-crafted from cold cast resin with wooden toothpicks in a plastic case. Packaged in a decorative gift box.